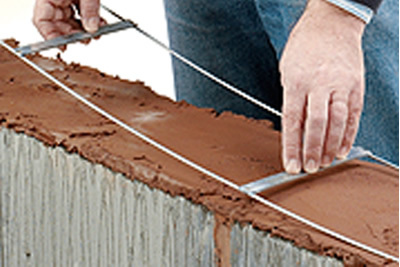 Brickforce is designed for structural reinforced masonry applications. Brickforce complies fully with the requirements of the reinforced masonry design code BS 5628- 2, and consists of two parallel wires joined by in-line welded cross wires. The main wires are manufactured to a flattened profile to enable the product to be easily located into the mortar joint without steel build-up problems at lap positions corners/junctions, or when used in conjunction with wall ties. 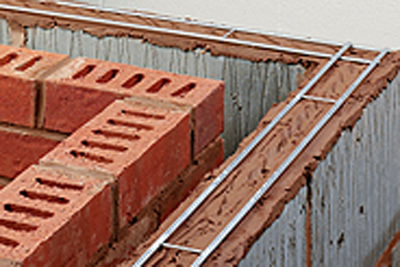 Brickforce is available in a range of different main wire diameters for specific structural loading situations, and in a variety of product widths to suit different block or brick leaf construction. To comply with quality assurance requirements and assist in product traceability, each strip of Brickforce is uniquely marked at regular intervals with the brand name, reference and manufacturing code.